A commuter signing up for the Good To Go Commuter challenge. Be sure to ride your bike to the Farmers' Market and use the free, valet-style bike parking service, thanks to the Friends of the Constitution Trail. Bicycle advocacy group Bike BloNo will be there with advice and tips on making your bike commute more efficient and enjoyable. Learn more about transit from Connect Transit. Just look for the bus. 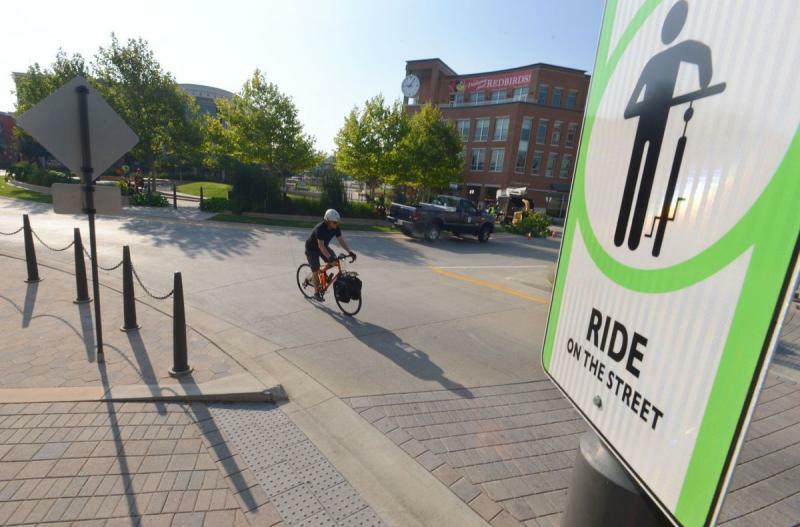 Bloomington-Normal celebrates Bike To Work day, thanks to Bike BloNo, The Friends of the Constitution Trail, Coffee Hound, and Cravin' Donuts! It's all to encourage to participate in the Good To Go Commuter Challenge!